Children are a big part of our ministry at Grace!!! We make your children’s safety a priority. Because of this, we have a check-in process the first time that you visit. You’ll want to leave yourself an extra five minutes to get signed in before the worship service. Of course, if children want to sit with you they’re always welcome! Sunday School at 9:15 am: Babies through 6th Grade. 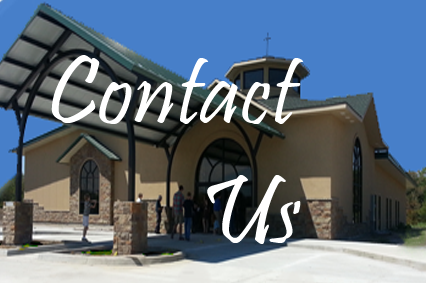 – If you have older children, we also have a Sunday School class for Junior High and High School. 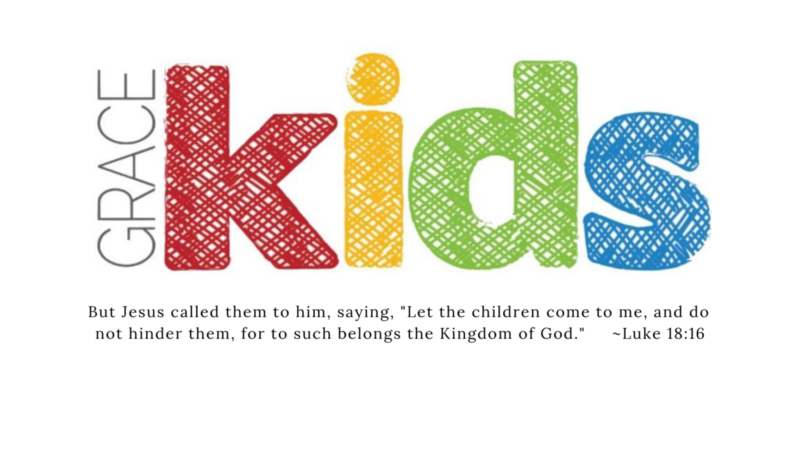 Children’s Church for Grades 1-5 – Kids join us in the Worship Service then are dismissed to Children’s Church where they will play games and hear Bible truths on their level while the parents are in the Worship Service. Of course, kids are also welcome to stay with you during the Worship Service, too!Every 4th Sunday of the month is “FAMILY SUNDAY” so parents and children can worship together! GRACE KIDS: 6:30-7:45 pm for Grades Preschool through 6th Grade: Answers in Genesis Bible Curriculum is an exciting chronological study of the Bible. Kids get their own Binder with new material to add each week and have the opportunity to earn points to use to exchange for prizes at our Kid Store. Through this program, your kids will build a solid foundation in the heart of God’s Word upon which to build the rest of their lives.We make your children’s safety a priority. Because of this, we have a check-in process the first time that you visit. You’ll want to leave yourself an extra five minutes to get signed in before classes start. Also, check the Calendar for other Kids’ Activities throughout the year!!! Or for More Info: Contact Us.